A Play Box is an industrial job site box containing sports equipment and toys that support families to raise healthy children through more physical activity. There is a wrap around the boxes with Live 5-2-1-0 icons and partners’ logos. They are located in public parks and families can access them for free, anytime the park is open. what's inside a live 5-2-1-0 play box? where do i find a live 5-2-1-0 play box? How do I access a live 5-2-1-0 play box? Simply complete and submit the online registration form. how do i use a play box? According to Statistics Canada, obesity rates among children and youth in Canada have nearly tripled in the last 30 years. 1 in 3 children are overweight or obese — 1.6 million kids. Childhood obesity increases the risk for serious chronic diseases such as Type 2 Diabetes, heart disease and cancer. Research informs us that children raised in an environment where they are active have better physical and emotional health, perform better academically, and have greater leadership skills. Physical activity also lowers depression while increasing productivity and innovation. These are essential components to a healthy and thriving community. Many parents don’t know how to play with their kids - They perhaps grew up in a family that didn’t engage in play or they are so busy trying to keep up with everything that they don’t have the time to think about how to play with their kids. Lack of money – buying toys and props to play with outside isn’t within the financial reach of many families in the Tri-Cities. Isolation – with busy schedules, lack of interaction with neighbours, lack of family close-by, social isolation is becoming a significant problem in our community. How and where do you meet new people? How do you make the time to meet new people? Not only does this lead to social isolation, it also starts to erode the fabric of our sense of community and belonging. 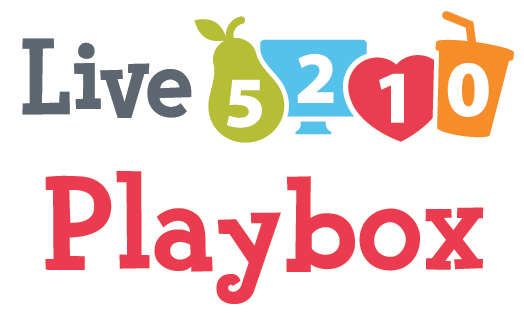 So, in an effort to ease some of these challenges, the Tri-Cities Healthy Living Working Group, along with its partners, launched the Live 5-2-1-0 Play Boxes with SCOPE at BC Children's Hospital. The Tri-Cities Healthy Living Working group is a collaborative of School District, Municipal, Non-Profit and Health Authority from Coquitlam, Port Coquitlam, Port Moody, Anmore and Belcarra. It includes representation also from the local Early Childhood Development Committee and the Middle Childhood Matters Committee.